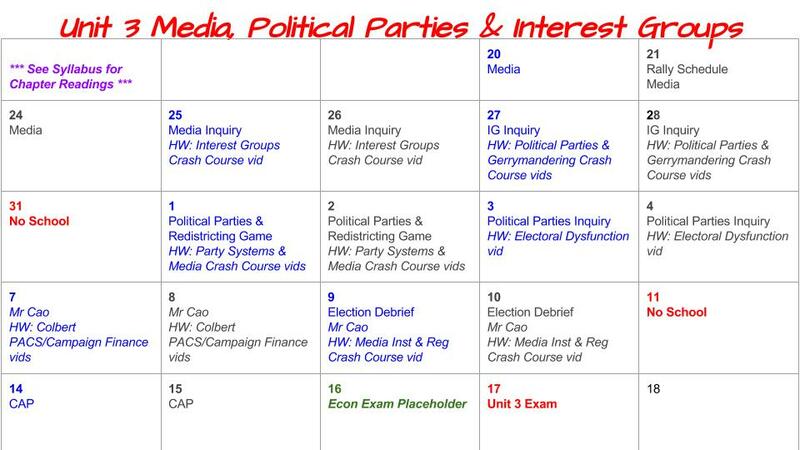 Identify and explain the role of the media in the political system. LO 4.B.1: Explain the media’s role in providing citizens with political information. LO 4.B.2: Analyze the development, implications, and consequences of increasingly diverse numbers of media and political communication outlets. LO 4.C.1: Explain the functions and impact of political parties with regard to the electorate and the government. LO 4.C.2: Analyze why political parties change and adapt to political realities. LO 4.C.3: Explain structural barriers to third party and independent candidate success. LO 4.C.4: Analyze the benefits and potential problems of interest group influence on elections and policy making. LO 4.C.5: Analyze the reasons for and impact of social movements and protest politics. LO 4.C.6: Assess the impact of elections, public opinion, interest groups, and political parties on policy outcomes. LO 4.E.2: Explain changes in the structure and function of election campaigns since 1972. LO 4.E.3: Evaluate the benefits and drawbacks of candidate-centered campaigns in the 21st century. LO 4.E.4: Analyze the relative importance of money and democratic principles in elections.